Pear Deck gives teachers the ability to engage and assess every student in every row no matter what grade or subject. Using Pear Deck will help you create an interactive and community-focused classroom that builds confidence and comprehension. If you are new to Pear Deck, this article will give you a basic overview. 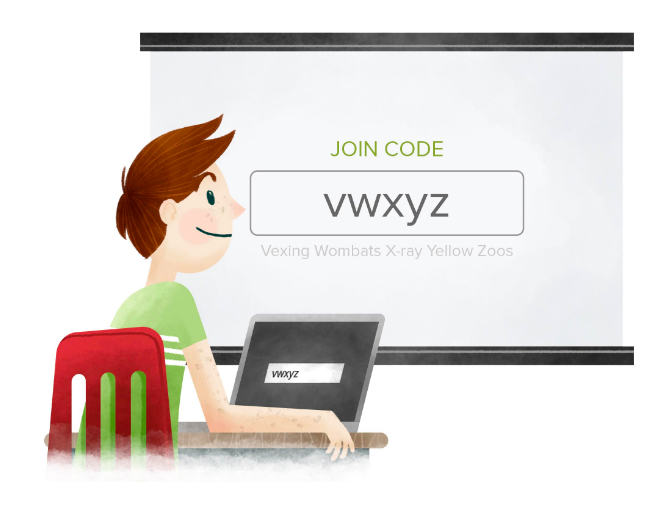 Create your slides from scratch in the Pear Deck Slide Editor. Learn How. This is best if you don’t have any pre-made content you want to reuse or if you want to focus on keeping slides simple and to-the-point. Import slides from another program (like PowerPoint or Google Slides) and turn them into interactive prompts in the Pear Deck Slide Editor. Learn How. This is best if you have presentations from previous years or if you want to format your slides in very specific ways before making them interactive. 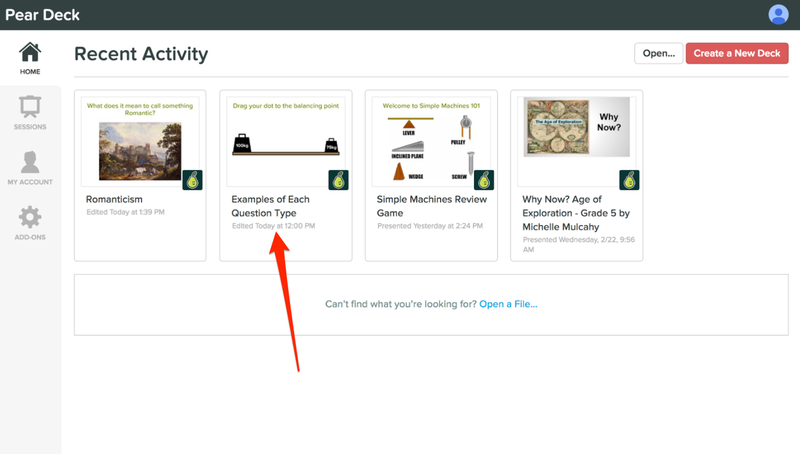 Directly Present your PowerPoint, Google Slides, or PDF and drop in interactive question on-the-fly as you teach. Learn How. This is best if you don’t have a lot of time to plan but you want to make a lesson interactive. Before class starts, you can hook your computer to your projector and click “Start Presenting.” The very first slide will show your students how to join your Session. When you move to the next slide, your students' screens will stay synced with yours. They will be able to see the slide content by either looking at the projector screen or at their own devices, which is really helpful for students at the back of the room who may struggle to see more detailed content. When you come to an interactive slide, students will also see an answer input on their screen, which will look different depending on what kind of question you made. Learn more about the 5 interactive question types here. 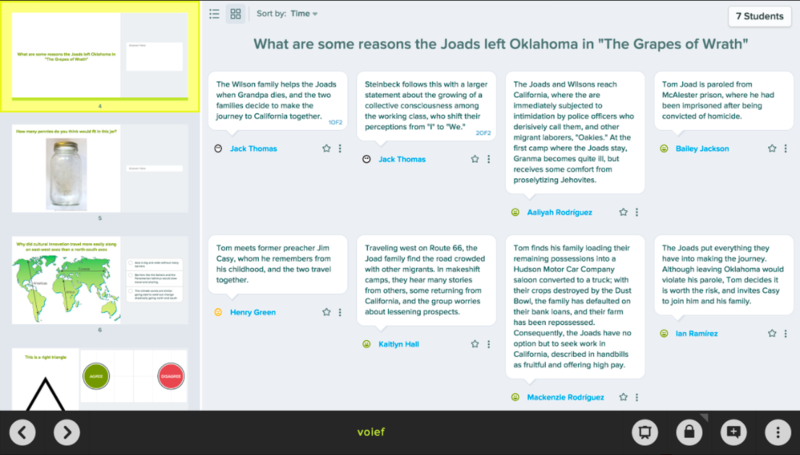 As your students answer, you can watch their responses in real-time on your own, private, Teacher Dashboard. From here you can see who’s stuck or confused and even star exemplars or misconceptions to discuss as a group. When you are ready, you can project responses anonymously on the screen. This allows students to see different ideas and makes it easy to spark a discussion. At the same time, since the answers are anonymous, students don’t have to worry about being embarrassed. This can really help shyer students feel included in the discussion even when they don’t speak up. 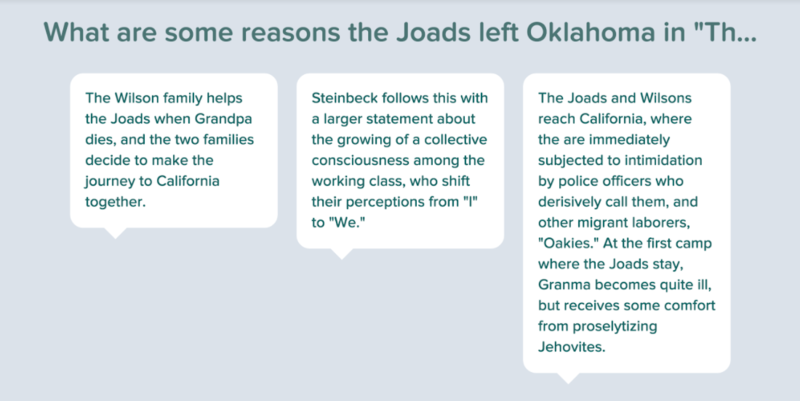 Set your Pear Deck lesson to Student-Paced Mode. This is best when you didn’t complete the lesson during class or there were absent students. 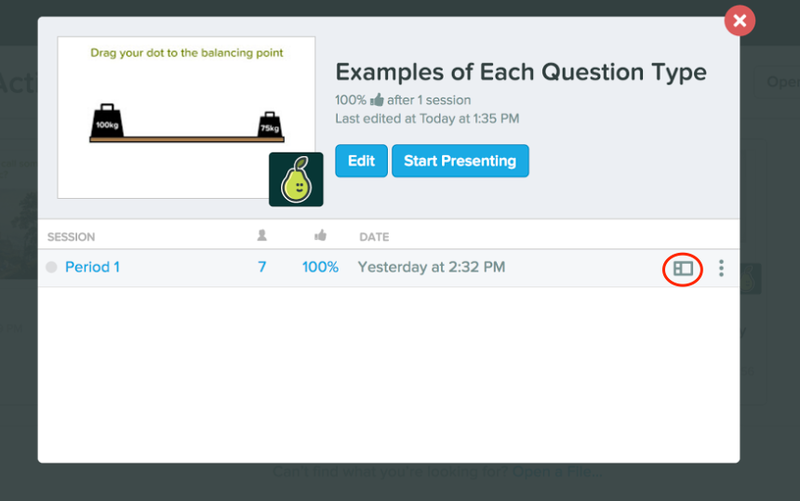 Student-Paced Mode lets students move through the slides at their own pace and all of their answers can be viewed in exactly the same way as normal so you can talk about their answers the next day in class. Learn More. 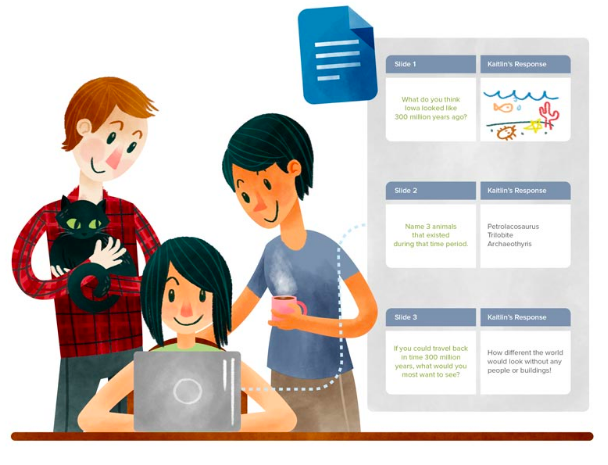 Publish Student Takeaways to give each student a personal notes doc. This is best when you want students to review all the content from the lesson and be able to reflect on their own answers. Since a Takeaway is a Google Doc, you can easily share it with parents or tutors when a student needs extra help at home. Learn More. Export Student Answers to Google Sheets for Grading (Learn How). This is best when you’ve given a Multiple Choice or text-based quiz. You can even use the Google Sheets Add-On, called Flubaroo, to automatically grade the quiz and send grade reports to students. This is best when you want to flip through the lesson slide-by-slide and see what each student thought. It’s also really helpful for identifying what material might need to be revisited the next day. Learn More. This is best when you want to provide individual feedback for students. Because the Student Takeaways are Google Docs, you can use the commenting tool to provide direct feedback about an answer; the student can get a notification and respond to you. Learn More.